NO HIDDEN FEES, REAL PRICES FOR CLEAN CARS WITH REAL PEOPLE. 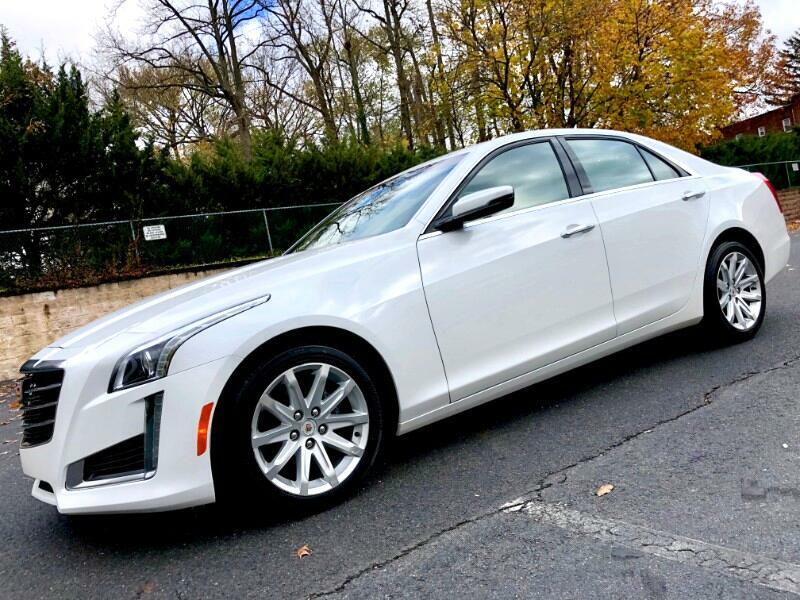 2015 Cadillac CTS with Luxury Package equipping it top of the line features and ALL WHEEL DRIVE. 2.0 Liter engine, this CTS pushes 272 horsepower while providing great gas mileage with ratings of 20 CITY/30 HIGHWAY MPG. BRAND NEW TIRES. 1 OWNER, NO ACCIDENTS, OFF LEASE (NOT A RENTAL THAT'S BEEN DRIVEN AND ABUSED BY COUNTLESS PEOPLE). Backup Camera, Parking Sensors, Blind spot monitor, Forward Collision Alert, Lane Changing Alert, Cross-Traffic Alert, Lane Keep Assist, Lane Departure Warning, Rain Sensing Wipers, Heated Steering Wheel, Front Heated Seats, Rear Heated Seats, Front Cooled Seats, Memory Seats, Full glass panoramic sunroof/moon roof, adjustable Interior Ambient Lighting, Bluetooth, Bluetooth audio, USB port, SD cards reader, BOSE Premium Sound System, Remote Start, Wireless phone charger, Power Folding Side View Mirrors, HID Headlamps, LED tail lamps. Bumper to bumper warranty until March of 2019 or 60k miles. Powertrain warranty until March of 2021 or 70K miles. COMPREHENSIVE MECHANICAL PLANS AVAILABLE FOR PURCHASE WITH DURATION'S LASTING UNTIL ODOMETER READS 125,000 MILES OR YEAR 2026. Great financing options available for all credit types.